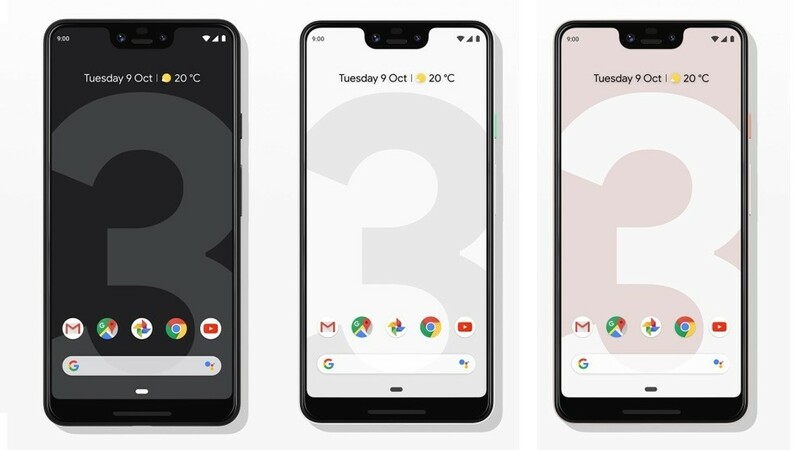 Google Pixel 3 XL is another attempt by google to prove they too can do hardware. Google has always been about creating a smooth experience. From the first creation of android, it was all a dream ( no biggie smalls) but not anymore. From their earlier flirtation with getting into the handset game with the likes of Motorola and Huawei ( they’ve both made previous devices commissioned by Google), the theme of late has been to take on the mantle of creating not only the purest Android experience a user could have, but also a good phone experience as well. At the moment, the jury is out on the latter. What an experience this is. Android 9 Pie is the latest operating system that is sure to delight. Your interfaces are rounder than before, clean interface and more of use of gestures than ever before; Google has cleaned their app to make your mobile experience simpler. That’s not all, something that you will notice straight out of the box will be your phones availability to learn – aka machine learning. Your phone takes direct actions that you will not have to. For example, you may be hungry, and you’re thinking about what to get from the Uber Eat app, due to your history of ordering at 4 pm on a Saturday your phone may get the jump on you and remind you about the time. However, like all things, it will take time to learn your habits. But this isn’t new with Google, with anyone who has/had a past Android device you would be familiar with the updates on about your latest team, your journey home and many more. The software experience is almost perfect. Flipping your phone over when you’re receiving a call turns on the Do Not Disturb feature, with our current lifestyle. This is a nice feature to have. But what’s most exciting feature is the Now playing. Your phone picks up the sound in your environment and lets you know what the song is by displaying it on your screen. The beauty of the screen matches the ease of use of the software. And what a screen this is – 6.3 inches of OLED goodness. OLED screens are best known to be on TVs as they provide clear blacks and colour sharpness unseen to the naked eye. With the likes of Huawei Mate 20 Pro, the Google Pixel 3 XL is in good company in providing the viewing experience that we all deserve. You’ll instantly be delighted by the vivid colours while watching your favourite tv shows/movies, and you’ll wonder what took you this long to jump on the bigger screen wagon. You can be forgiven for thinking that the bigger screen means it will way a tone. Unlike the early 2000s handsets with bigger screens are very light considering all the technology that is packed inside. Unfortunately what the screen fails to do is to hide how unsightly the notch is. The notch seems to have expanded even more on the Pixel making it more noticeable. With no Face ID, it makes it hard to understand why companies continue to stick with a notch other than copying a gimmick. Notice the XL moniker? You will be right in thinking that this is the bigger variant. Similar to how Apple lineups are, the bigger the phone doesn’t equate to a lesser performance. Albeit it isn’t the phone size that is the issue, instead it is with Google directly for the battery they choose. It doesn’t seem to be able to keep up at all, making the usual statement of ” you can get a day off use out of it” – void. If you are a heavy user, it would be in your best interest to pack a battery pack on days when you’re away from your desk. Another Apple influence. Lack of a headphone Jack is annoying, but Google makes up with it by supplying a 3.5 adapter the box so you can still use your wired headphones. The theme of phones in 2018 – the camera. Reports suggest that you’ll be amazed at the quality of pictures you this phone captures. I wouldn’t disagree. The Google Pixel 2 was considered to have one of the best camera quality of its year, and this seems to follow suit. Most manufacturers go down the route of a triple rear camera ( Huawei Mate 20 Pro), but the Pixel shows how you can get the best out of a one camera lens. Home to a 12.2-megapixel lens with a f/1.8 aperture and a new image sensor, you’ll be getting detailed images with sharp colours you may not find on other devices. One of the exciting things about the Pixel 3 XL is its new feature called Top Shot. Top Shot helps you in keeping a memory of moments you may have missed. Before and after you’ve even tapped the shutter button the Pixel 3 XL is capturing moments that may be of interest to you. There’s less of a chance of you asking your friends to get back into their pose as Tap Shot may have you covered. Of course, the recommendations may not always be perfect, but the feature is one that is wanted more than scorned as it could save you time. The Pixel 3 XL wows in its display and of course camera quality, but the notch and rumoured battery life prevented what could have been.